InnJoo has introduced another addition to its flagship devices, the InnJoo Fire3, the device comes in three variants - Fire3 LTE, Fire3 Air LTE and Fire3 Pro LTE. There is a noticeable difference between these variants with the Fire3 Pro LTE been the premium version and more expensive. One major advantage of these device is, people who likes its beautiful design an can not be able to afford the Premium version of the smartphone can option for other variants. They are almost the same but there is a noticeable difference between the three smartphones. 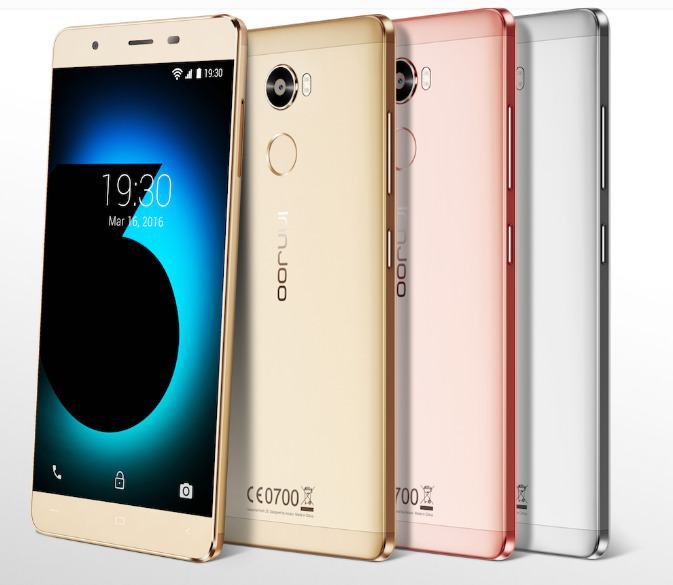 The InnJoo Fire3 features an amazing 5.5-Inch Display with 720 x 1280 pixel Resolution and runns on Android 6.0 Marshmallow OS and powered with a Quad core processor having varing Ram size of 1GB for the Fire3 Air LTE, 2GB for Fire3 LTE and 3GB for Fire3 Pro LTE. Here, you see that the Ram sizes are different. In terms of the camera, the Fire3 LTE and Fire3 Pro LTE has a 13MP Main Camera with Flash, while the Fire3 Air LTE has an 8MP Main Camera and they all feature a 5MP Front facing Camera. Here you see they have same selfie camera quality with difference in the main camera. Packed with the same battey capacity of 3000mAh, 4G LTE and Dual SIM card support. The device can connect wirelessly via Wifi, Bluetooth and Hotspot and a cable connection of MicroUSB. The Fire3 LTE and Fire3 Pro LTE features a fingerprint reader to provide optimum security.